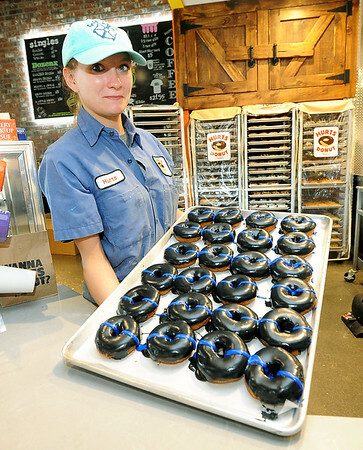 Hurts Donut's Jordan Weston holds a tray of Thin Blue Line donuts on Thursday at the store. The donuts are being sold to help the family of slain Clinton police officer Gary Michael. As of midday Thursday, the store had raised more than $2,000 for Michael's family.